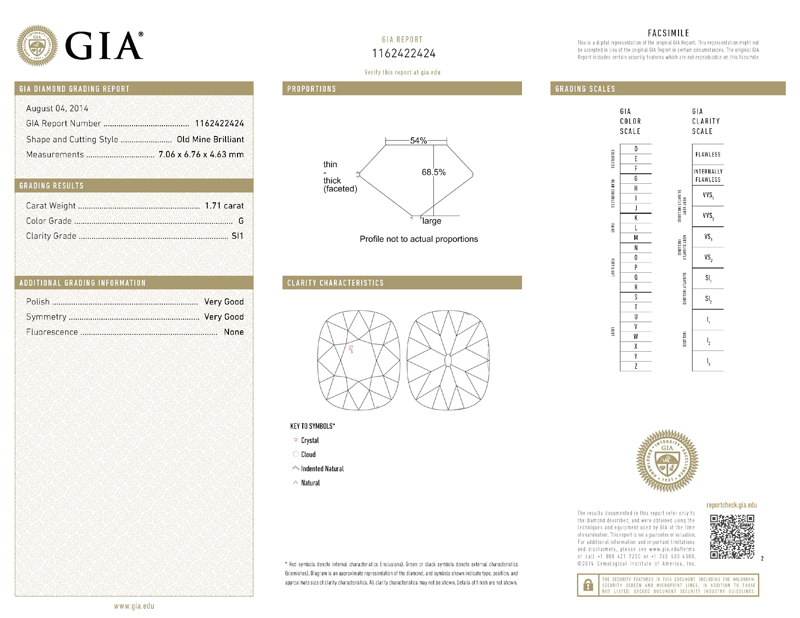 When shopping for antique style diamonds, you are confronted with quite a bit of data to sift through. For one thing, there are brands. Each of these brands wants you to believe that they are scientifically designed to be better. Okay. That means that you can determine scientifically what my preference is . Okay. 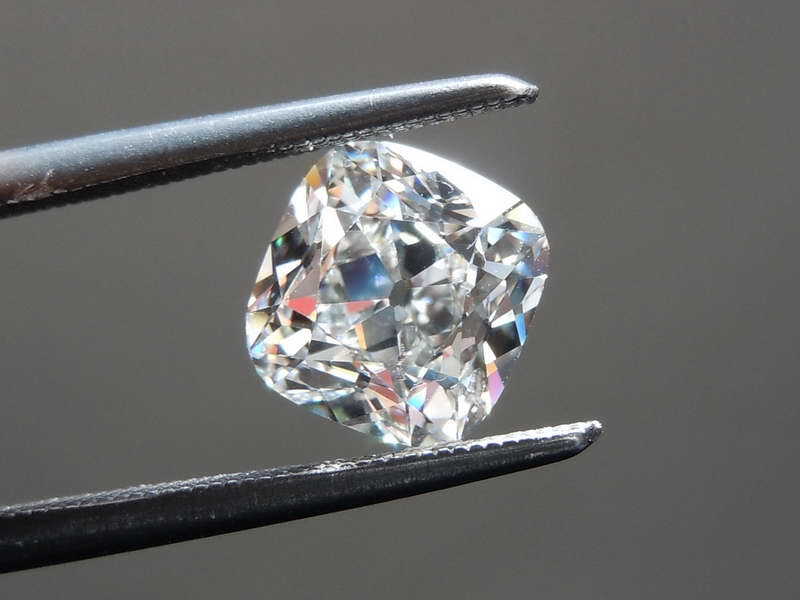 Actually, not okay, because I want a really well-cut diamond, but I don't want it to look like every single other diamond. I don't want contrast patterns that look like a windmill. 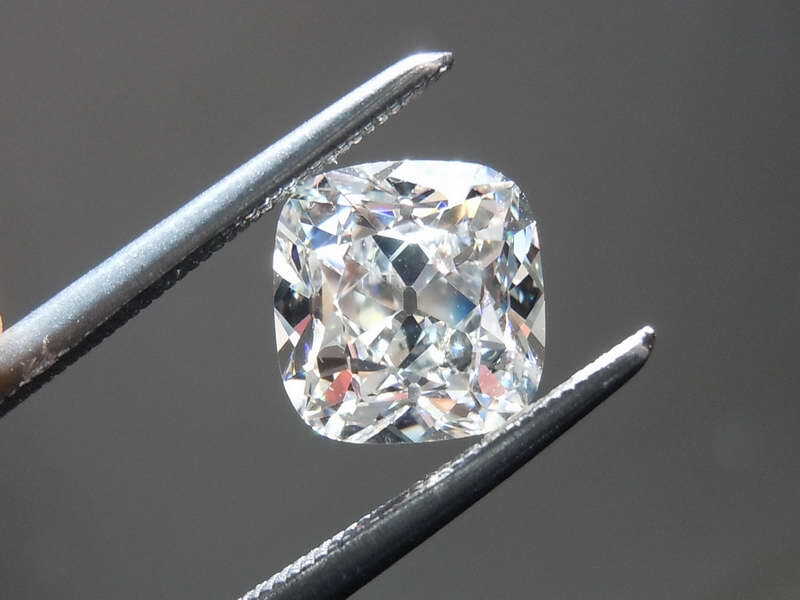 Like the branded diamonds, this one is newly cut- to precise tolerances. Unlike the branded stones, this stone wasn't cut to fit a mold. It was designed and cut to be beautiful. 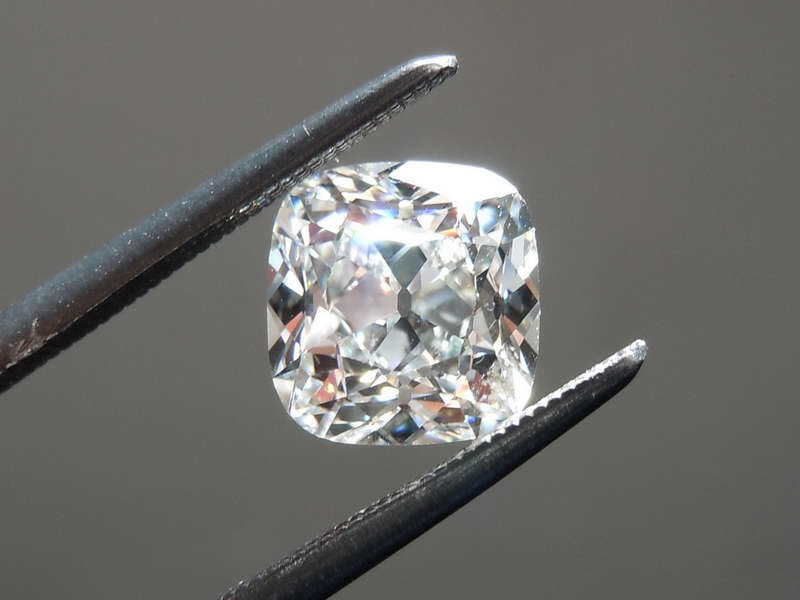 The cutter was free to use the rough to produce as nice a stone as possible. The cutter achieved that goal beautifully. Plus the stone has great face up size for the weight. 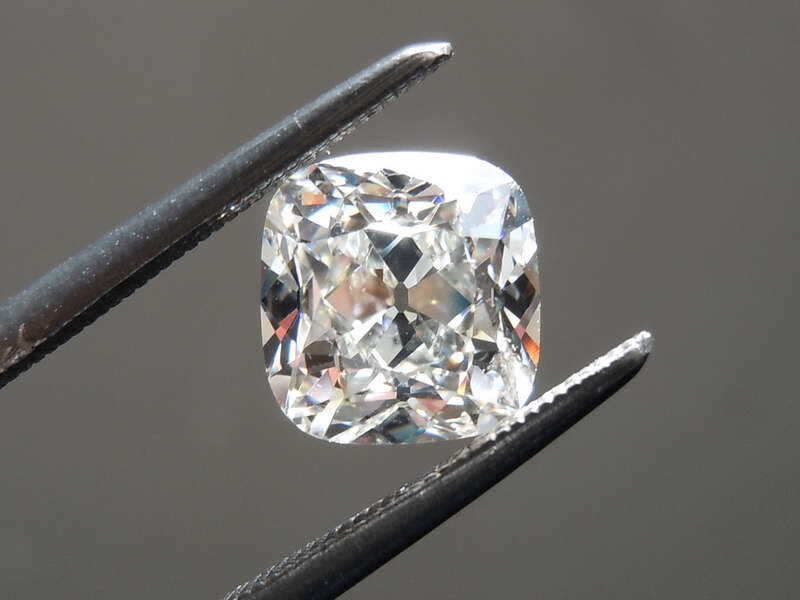 The stone is very near to colorless at G. It is also a phenomenally good SI1. There's a tiny carbon crystal deep within the table. Definitely a borderline VS2 - and definitely eye clean. 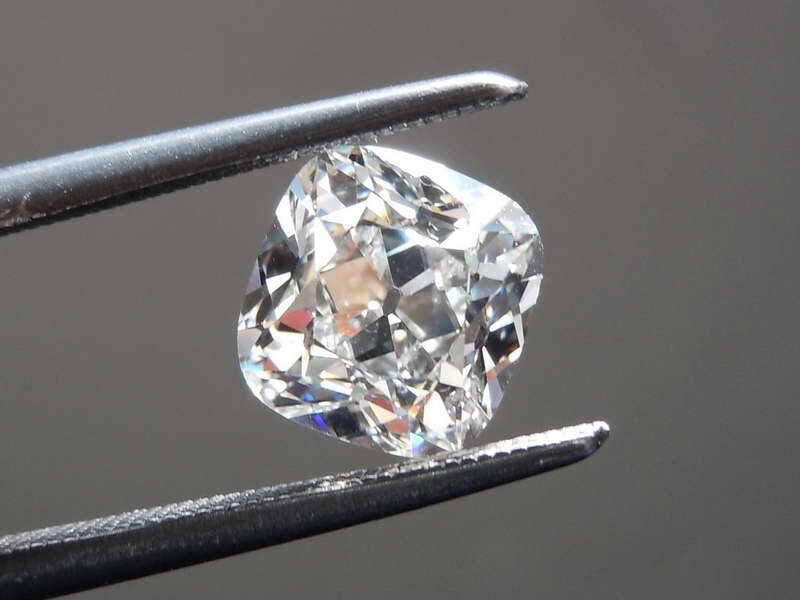 So, if you set your sights with F/VS2 as a minimum, you would miss this beauty - and you'd spend probably 20% more for a diamond that would be imperceptibly different. Suffice it to say, I think G/SI1 is a great grade in terms of quality - value and balancing the two.